Demand the Chew also be “fired”. Just don't go barefoot in your cowboy boots cuz ain't no one got time for that kinda stink. I believe in freedom of speech but I also believe in the right of an employer to terminate an employee who doesn’t align themselves with the mission and vision of the employer. I also believe there is a gift in every ugly situation and that gift is the lesson learned or the take away. My take away from all this publicity is that each of us needs to weigh our words carefully. I cannot teach my children that bullying is wrong and still amuse myself with social media photos and videos of people different than myself (intentionally not naming them, because I see absolutely no reason to call attention to their bad behavior – you know what I’m talking about). I cannot teach my children to love themselves if I look in the mirror and criticize my body or call myself names when I make a mistake. This goes for anyone. It is twice as important for those of us who put pen to paper. Yes, we can later apologize for hurting someone’s feelings or for something coming across the wrong way, but in today’s social media world the truth is: once it’s out there, it’s out there. The damage is done. I don’t think we necessarily have to sit idly by and stifle our thoughts about particular sensitive topics. I just think we need to consider carefully what we are putting out there. We need to weigh our words carefully. I’ve ranted about things and later found out I hurt the feelings of those I would never want to hurt. It’s an awful feeling. I suggest that we ourselves read and re-read our words and then if we are in doubt, have someone else take a look at them. This is where a writer’s group may come in handy. Taking it to the group gives us some different perspective but also allows us to “sleep on it” as my daddy would say. The time and perspective may help us say what we want to say in the way we wanted to say it without hurting others. If there is no place in our schools for bullies, there should be no place in our homes either. I challenge each of us to do our part to weigh our words carefully so as not to hurt others. Another quote from Daddy to end this little piece is this: “If you can’t say anything nice, don’t say anything at all”. He’s been gone nearly 30 years and this advice (as well as plenty more) still seems pertinent. We would love to hear from you. So here are some questions to ponder – leave your answers in the comments! **What’s something someone said to you as a child that is still sound advice today? **Have you ever said anything on social media and regretted it? What did you do to try to remedy the situation? concerning social media and cyber bullying? PS – I think you’re all pretty fantastic! 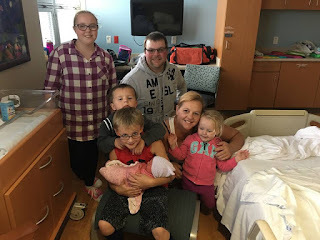 Crystal is a council secretary and musician at her church, birth mother, babywearing cloth diapering mama (aka crunchy mama), business owner, active journaler, writer and blogger, Blog Tour Manager with WOW! Women on Writing, Publicist with Dream of Things Publishing, Press Corp teammate for the DairyGirl Network, Unicorn Mom Ambassador, as well as a dairy farmer. 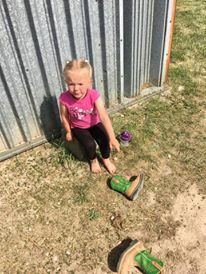 She lives in Wisconsin with her husband, five young children (Carmen 11, Andre 10, Breccan 4, Delphine 3, and baby Eudora), two dogs, four little piggies, a handful of cats and kittens, and over 230 Holsteins. Amen. Social media is both a blessing and a curse, and I think people say things online that they would never say to someone's face. We were just talking about this at a BBQ over the weekend and someone said the advice is: If you wouldn't say something in front of your grandma, then don't post it on your social media accounts! In Brene Brown's book, BRAVING THE WILDERNESS, she makes this point that you can disagree with someone's opinion kindly and treat the person kindly, while still sharing your own viewpoint, and maybe something will actually be learned from the conversation then. That's a good book, btw. Thanks Margo! I’ll check out BRAVING THE WILDERNESS !!! Crystal--Keep in mind I really do no Facebook or anything else like that... I think it's almost impossible to include the nuances that are an undercurrent--when you express your opinion--so in person is much better.